The Tony Award Winning Musical, Evita! The Tony Award-winning hit musical Evita, which has captivated audiences for over 40 years, is hitting the road once again! 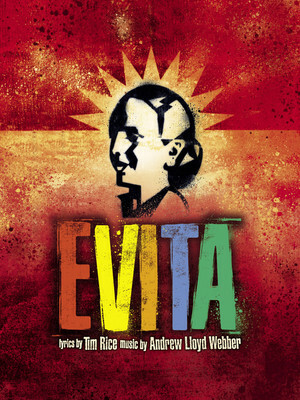 Evita tells the story of the beloved Argentine political leader Eva Peron through Tim Rice and Andrew Lloyd Webber's Grammy-award winning score. Set in 1940s Bueno Aires, the times of future revolutionary leader Che Guevara, follow Eva Duarte and her ambitious adventure as she seeks power to help her fellow Argentinians. From her early life as an ambitious actress, to marrying Argentina's President Juan Peron and becoming Argentina's dynamic First Lady, to her eventual death from cancer. Expect a captivating production that includes the show-stoppers 'Don't Cry For Me Argentina', 'Another Suitcase in Another Hall' and 'Rainbow High'. Upon Evita's death, the Argentinians were told that Eva was only 30 rather than 33. 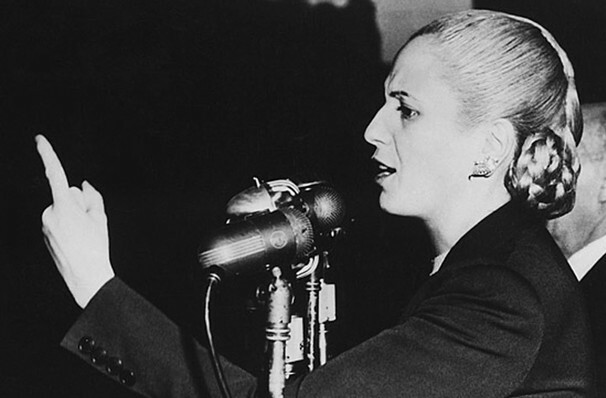 After becoming the first lady in 1946, Evita had her birth certificate altered to read that she had been born to married parents (her rights would have been a lot different if they knew of her 'illegitimate' upbringing), and placed her birthdate three years later, making herself younger. Sound good to you? Share this page on social media and let your friends know about Evita at Wagner Noel Performing Arts Center. Please note: The term Wagner Noel Performing Arts Center and/or Evita as well as all associated graphics, logos, and/or other trademarks, tradenames or copyrights are the property of the Wagner Noel Performing Arts Center and/or Evita and are used herein for factual descriptive purposes only. We are in no way associated with or authorized by the Wagner Noel Performing Arts Center and/or Evita and neither that entity nor any of its affiliates have licensed or endorsed us to sell tickets, goods and or services in conjunction with their events.